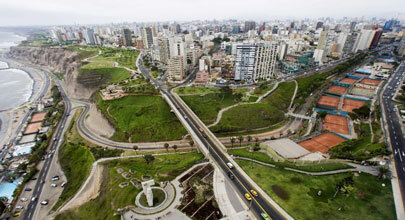 LIMA CLASSIC 03 DAYS / 2 NIGHTS|LimaTravel V.I.P. Reception at the Lima airport. 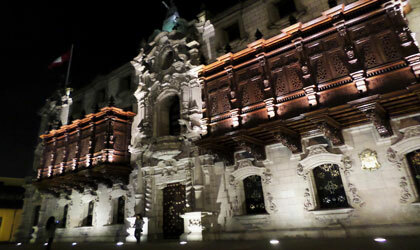 Transfer to your selected hotel in Lima Overnight in Lima. Pick up from your hotel by your private transport and tour guide to begin your tour in Lima City Tour We going to visit the Lima main Square and the Cathedral, where Conquistador of Perú Francisco Pizarro is entombed. Also we going to have a tour inside the Convent and Church of San Francisco, which hold the oldest collection of colonial art in the Americas, with an exquisitely carved chorus, a library of ancient manuscripts, and the Sacristy with paintings by Zurbarán and Rivera. Here the grand courtyard of the main cloister is decorated floor-to-ceiling in blue and white Sevillian tiles, depicting scenes from the bible that dates back to the 16th Century. Moroccan-style arches lead us to the Catacombs, a subterranean crypt from the colonial period, where the bones of 25 thousand colonial-era Lima residents are entombed. Then a pre-Inca adobe pyramid in the heart of the seaside district of Miraflores “Huaca Pucllana”; Parque del Amor (Park of Love), and other attrations in the Miraflores district. We finish in LarcoMar. Return to your Hotel And free transfer. At properly time transfer to the airport. Breakfast of the day will depend on the time of the transfer out from the hotel.